Dr. Curtis Willard is a overly confident Doctor who shows up in town just as Mary Ellen is about to be married to Dr. David Sepencer. He has an eye for Mary Ellen and is determined to have her hand. The two do indeed get married and she helps him with his practice working as a nurse. Curt is called to military service and is lost during the attack on Pearl Harbor. Mary Ellen finds him after the war a bitterly changed man living in Florida. He has no intention of returning to his family due to injuries he acquired in Pearl Harbor. 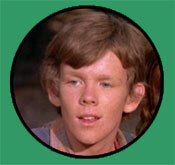 Tom Bower appeared in 26 episodes of The Waltons as Curt Willard starting with "The Wedding" (s5-ep7). 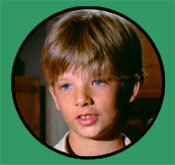 Tom also played the role of Rex barker in "The Wing-Walker" (4-ep7). He has co-starred in Pollock, Crazy Heart and Die Hard 2. 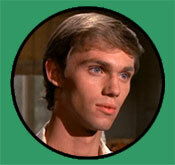 Scott Hylands plays Curt Willard when he reappears after a 2 year absence in "The Tempest" (s9-ep10). John Curtis Willard is the son of Mary Ellen and Curt Willard and the first Walton Grandchild. He appears in 52 episodes of the series. Michael and Marshall Reed are twins who played the role of John Curtis from Season 6 to 9. David Friedman played John Curtis in the first 3 movie specials. Cindy Brunson Walton is Ben Walton's wife. They elope one night after a brief courtship. She drives a red sports car and has a rich father which doesn't make her very popular with Ben's Mother or Grandmother..
Leslie Winston appeared in 42 episodes aa well as the first 4 movie specials beginning with "The Outsider" (s7-ep20). The character of Cindy first appeared in Day of Infamy (s7-ep10) but was portrayed by actress Robin Eisenmann. Toni "Antoinette" Hazleton first meets Jason Walton in "The Remembrance" (s8-ep18). They begin dating and are married in "The beginning" (s9-ep14). She appears in 7 series episodes and the last 3 movie specials. Lisa Harrison was in fact already married to actor Jon Walmsley when she was cast as his wife-to-be on the show. 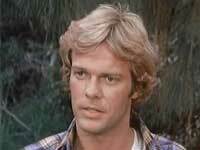 Paul Northbridge arrives on Walton's mountain in "The Lumberjack" (s9-ep19). Erin is smitten with him and they are married in A Wedding on Walton's Mountain. Morgan Stevens also appeared as a patient in "The Waiting" (s8-ep10). 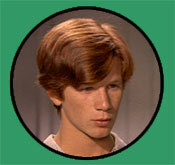 He also also appeared in 27 episodes of Fame. Arlington Westcott Jones "Jonesy" arrives in town in "The Whirlwind" (s9-ep8) and has a intense affair with Mary Ellen. They plan to marry but things go awry when she learns that her husband Curt Willard who was lost during the war may actually be alive. The two do indeed get married in Mother's Day on Waltons Mountain. 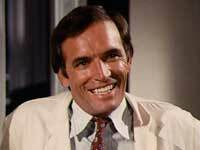 Richard Gilliland was a regular on Designing Women, thirtysomething and Operation Petticoat among other shows. Janet Gilcrest first appears a John-Boy's fiance in A Walton Thanksgiving Reunion, they are then married in A Walton Wedding and then they give birth to twins in the last special A Walton's Easter. 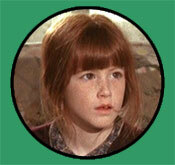 Kate McNeil prior to The Waltons Kate acted in North and South, Book II. Did you miss the link to your favorite Walton family member? Jump quickly to their page. 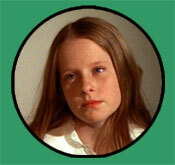 Rose Burton is John's cousin and she comes to stay with the Walton's in "The Kinfolk" (s8-ep3). She brings her two problematic grandchildren with her which causes turmoil at times for the family. Rose appears in 37 episodes plus the 4th movie, A Walton Thanksgiving Reunion. 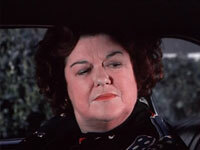 Peggy Rea (1921–2011) is well known for her role as Lulu, Boss Hogg's wife in The Duke of Hazzard. 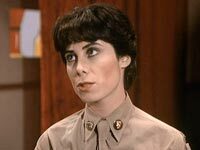 She was also a regular in Step by Step and Grace Under Fire. Serena Burton is Rose Burton's granddaughter. When she first arrives she goes about stealing various items from the family. 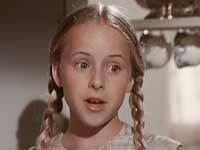 Martha Nix prior to hear role on The Waltons Martha could be seen in the soap Days of Our Lives. Jeffrey Burton is Rose's Grandson. She takes Jeffrey and his sister in her care after their father has physically abused them. Jeffrey gets into all sorts of mischief. In "The Wager" (s8-ep11) he is star struck by a famous actress. He builds a soap box cart in "The Last Straw" (s8-ep19). 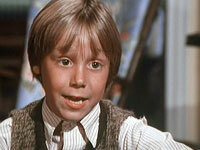 Keith Mitchell Coogan is the grandson of actor Jackie Coogan. He has starred in movies such as Toy Soldiers, Adventure in Babysitting and Don't Tell Mom the Babysitter's Dead. An uncanny resemblance? Here is Keith's grandfather, Jackie Coogan as Oliver Twist in 1922. Stanley Perkins is a travelling salesman and former beau of Rose Burton's. He shows up enexpectlantly one day at the Waltons and rekindles his relationship with her in "The Travelling Man " (s8-ep21). When she turns down his marriage proposal he leaves again on work. He returns to Rose again upon retiring in "The Gold Watch" (s9-ep13). The two evetually get married in "The Heartache" (s9-ep19). 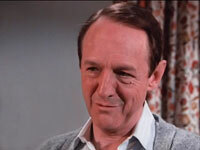 William Schallert has a whopping 363 screen credits to his name. He starred as the Dad on The Patty Duke Show, and he was a regular on The Hardy Boys/Nancy Drew Mysteries, The New Gidget and The Torkelsons. He appeared in the original Twilight Zone TV series, it's 1985 revival and Twilight Zone: The Movie. 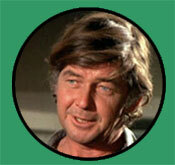 He also appeared in the movie In the Heat of the Night as well as the TV series. Martha Corinne Walton is the widowed wife of Grandpa Zeb Walton's brother, Henry. She is a strong willed but knowledgable woman. She lives high in the Blue Ridge Mountains and her home is scheduled to be demolished to make way for the new Parkway that is being built. "The Conflict" (s3-ep1) The company offers to relocate her to a new modern house but she would rather fight than lose her home and she asks the Walton Clan to come help in her fight. 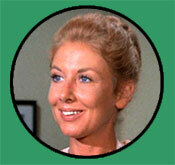 Martha Corine returns to visit the Walton's in "The Pony Cart" (s5-ep10). Beulah Bondi (1889–1981) a She was typecast as mothers and, later, grandmothers, and played James Stewart's mother four times, most famously as "Ma Bailey" in It's a Wonderful Life. Though she often played loving mothers and wives, she never married nor had children.She received the Emmy award for Outstanding Lead Actress for a Single Appearance in a Drama or Comedy Series for her performance in the "The Pony Cart" (s5-ep10), which was her final career screen performance. She received a standing ovation as she walked slowly to the podium, from which she thanked the audience for honoring her while she was still living. Walton's Director Ralph Senensky writes a glowing report of working on Ms.Bondi's two Walton appearances which you can read HERE for "The Conflict" and "The Pony Cart". 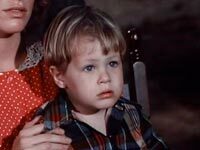 Boone Walton is Martha Corinne's son. We first meet him in "The Conflict" (s3-ep1). 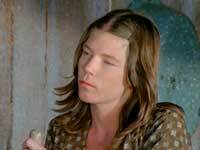 Later Boone comes back to the Waltons in "The Moonshiner" (s7-ep3) after he is charged with making moonshine. John-Boy tells us that "Boone Walton was killed by a truck as he crossed the highway one night in 1943. He was 87 years old and was carrying 2 gallons of moonshine." Morgan Woodward holds the record for having done more guest starring roles on the television series Gunsmoke (19) and Wagon Train (11) than any other actor. 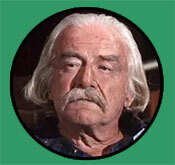 He was a regular on Dallas and appeared in 81 episodes of The Life and Legend of Wyatt Earp. 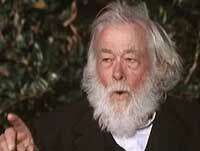 Wade Walton is Martha Corinne's great-grandson and an excellent wood carver. We first meet him in "The Conflict" (s3-ep1). He has troubles with his wife Vera in "The Estrangement" (s4-ep12) when he is caught making moonshine. Richard Hatch is best remembered for his portrayal of "Apollo" on the original series, Battlestar Galactica. He also appeared in the new series as well. He also acted in 22 episodes of The Streets of San Francisco. 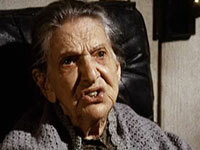 Vera Walton is Wade Walton's wife. She is content to be a homemaker and allow Wade to make the decisions for her family. When we first meet her in "The Conflict" (s3-ep1) she is expectiong their first child. 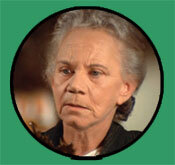 She returns in "The Estrangement" (s4-ep12) seeking help from the Walton's when her marriage begins to fall apart. Lindsay V. Jones earned 13 acting credits between 1974 and 1985. Cousin Zadok Walton arrives at the Walton's to uphold his promise to have a picnic with Grampa Zeb. "The Remembrance" (s8-ep17) He wills his land to Boatwright University and he gives his cherished fiddle made by Rome Walton, the first to settle on the mountain to Jason via his father John Walton. 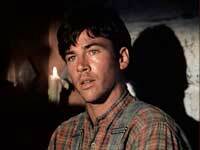 Woodrow Chambliss (1914–1981) was only 58 when he appeared as the old and frail character on The Waltons. 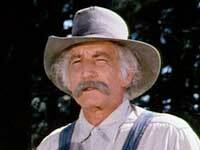 He appeared in 38 episodes of Gunsmoke.